The LED Linear High Bay Lighting series can provide bright, consistent UV-free lighting to different indoor locations, but it is perfect for warehouses, factories, and workshops. 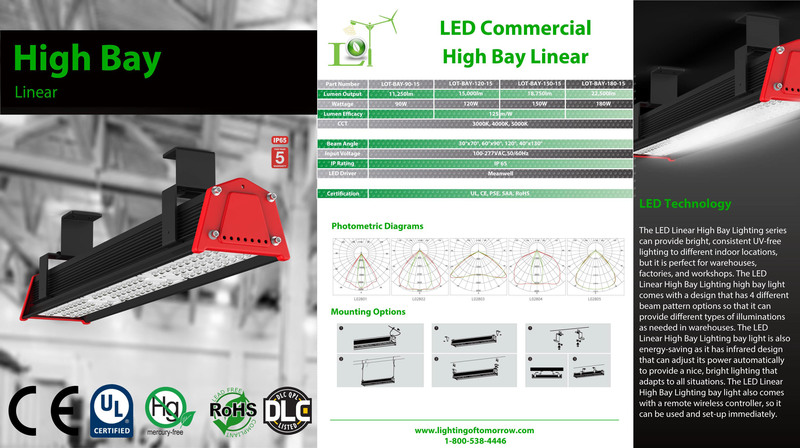 The LED Linear High Bay Lighting high bay light comes with a design that has 4 different beam pattern options so that it can provide different types of illuminations as needed in warehouses. The LED Linear High Bay Lighting bay light is also energy-saving as it has infrared design that can adjust its power automatically to provide a nice, bright lighting that adapts to all situations. The LED Linear High Bay Lighting bay light also comes with a remote wireless controller, so it can be used and set-up immediately.